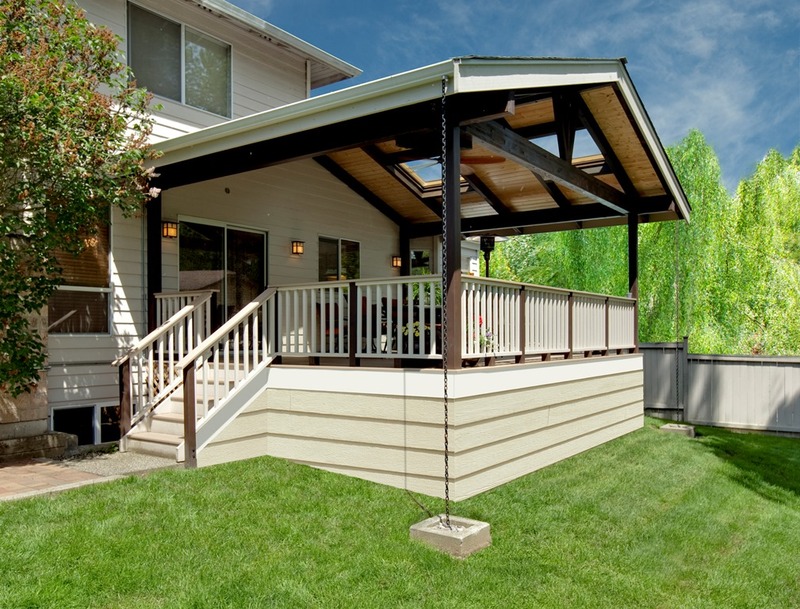 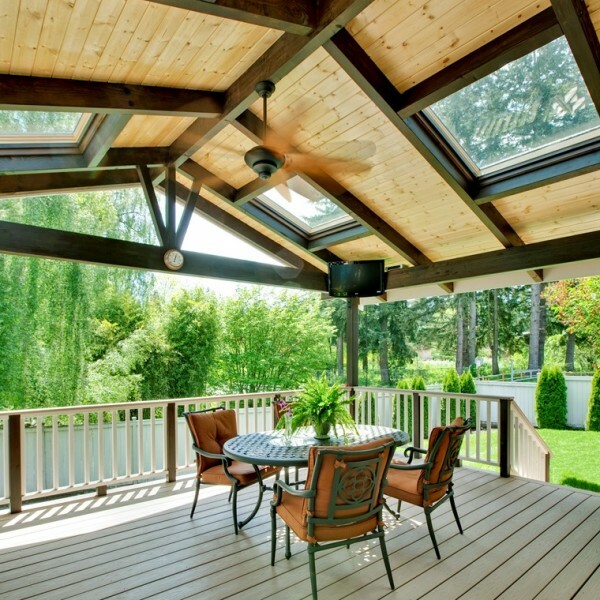 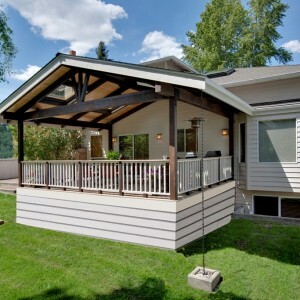 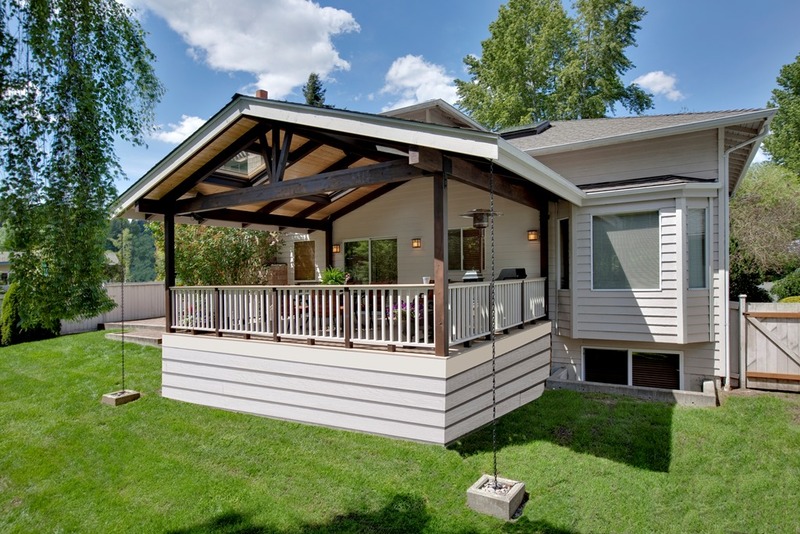 Homes built with decks attached are often undersized and short-lived in this climate. 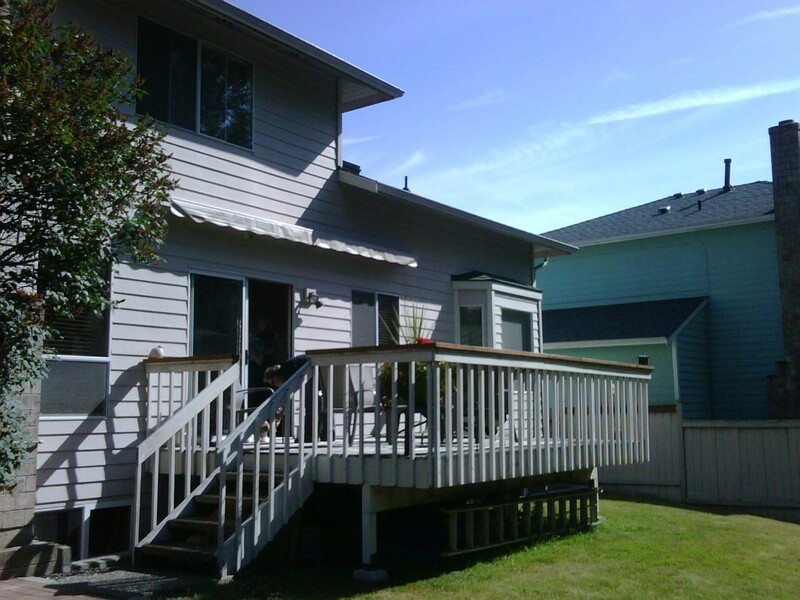 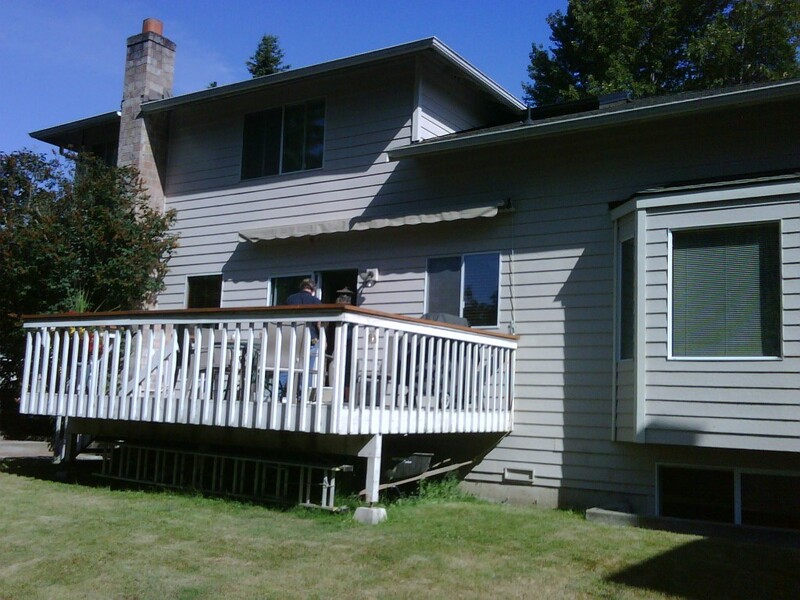 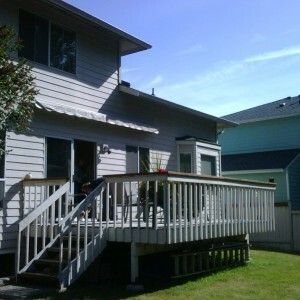 Once the siding is installed, the deck is attached to the house and then the enire exterior is painted, including the deck suface. 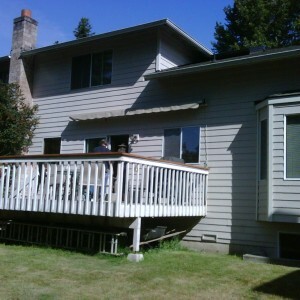 This process locks in moisture and eventually rots out the cedar boards that make up the deck surface. 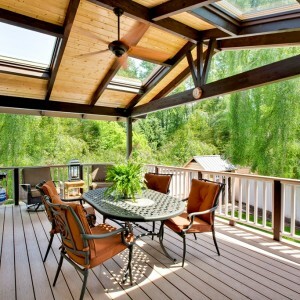 Deck renovations often include expansion to acommodate furniture, a grille and lighting for outdoor living enjoyment and entertaining. 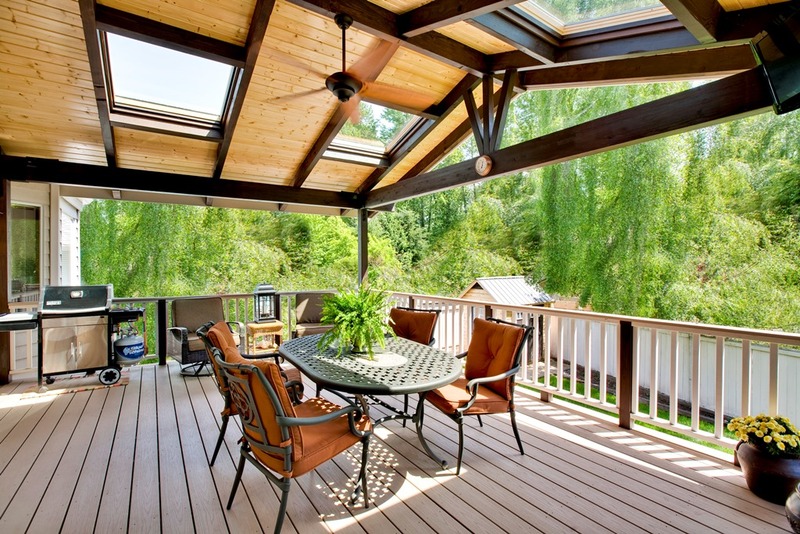 Occasionally, a roof is requested to enjoy the space year-round. 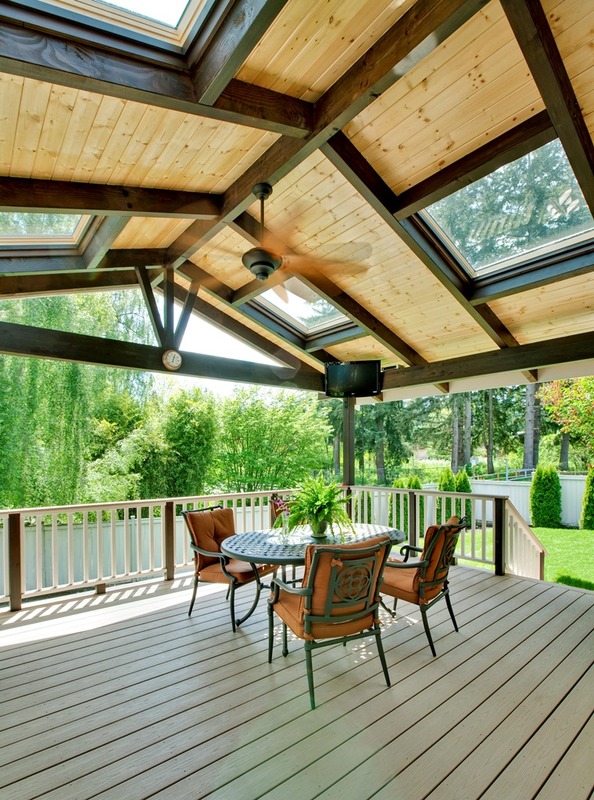 This project features skylights set in an exposed cardecking roof with timberframe structure over an Azek surface and railing system. 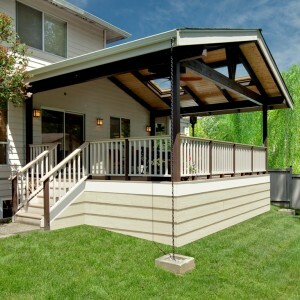 A paddle fan keeps it cooler in the summer and a TV was mounted to enjoy sporting events while outdoors.